Is there an advantage to staying loyal to a specific airline and accruing points or miles…or should you go with whichever airline offers the least expensive fare? Corey Sandler, consumer expert and author of Bottom Line’s Secrets of the Savvy Consumer, explores these options. He urges fliers to stay loyal to themselves and their own needs, not necessarily those of the airline. If an airline is giving you the features you want at a great price, it’s natural to be loyal to that airline—but things change quicklyin the world of commercial aviation. 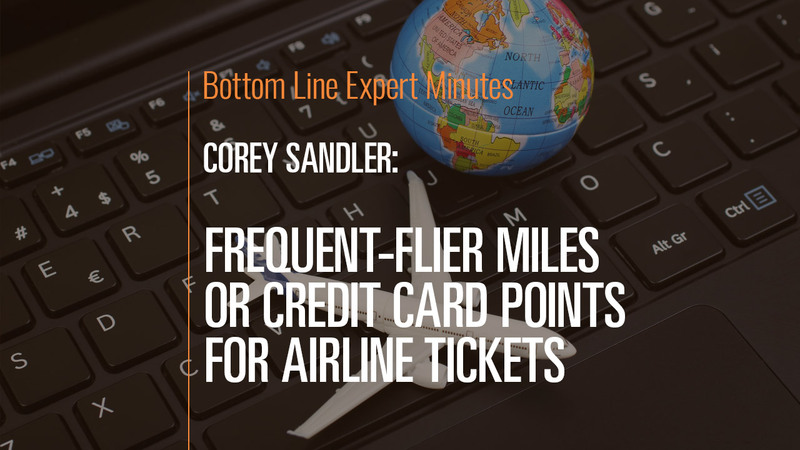 Mr. Sandler urges consumers to look for cashlike points and transferrable miles (as you might find with a credit card, for example) rather than relying on a single airline for all your travel needs. Finally, some credit cards offer additional rewards and rebates so it pays to be a savvy consumer and research your travel options.